The City of Winnipeg is at risk of losing all of its ash trees due to Emerald Ash Borer. 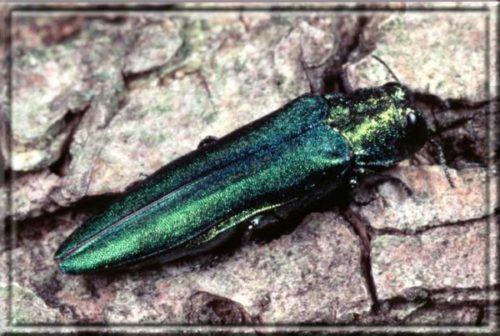 Emerald Ash Borer cannot be eradicated once it is detected. There are approximately 101,000 ash trees on boulevards and in parks in Winnipeg, representing over 30% of our street and park tree population and valued at approximately $437 million. Ash tree inventory on private properties and natural areas has been completed identifying approximately 256,385 ash trees in these areas. The total value of all ash trees in the City of Winnipeg is estimated to be over $1.5 billion. The Emerald Ash Borer Emergency Response Plan for the City of Winnipeg is estimated to cost up to $1.3 million in 2018. This plan includes a survey to determine the current extent of the infestation, creation of a temporary Supervisor of Forestry Technical Services position to plan and implement the response, removal and disposal of infested ash trees on public property, treatment of public ash trees, expanded Emerald Ash Borer monitoring, and public awareness and education. See complete details of the cost and impact of this disease in the City of Winnipeg Emerald Ash Borer Report and additional information on City of Winnipeg Website Emerald Ash Borer is now found all across Canada as noted in the media report below. Other forestry programs (removal of diseased Schubert Chokecherries, tree pruning, stump removal, etc) are now being addressed when time permits. Invasive insects may spell an end to ash trees in whole regions of Canada, caution University of Waterloo researchers. Damage from the emerald ash borer first detected in Windsor, Ont. in 2002 is estimated in the billions. Damage to date in Ontario and Québec is estimated at up to $2 billion by the Canadian Forest Service. The ash borer kills trees by drilling undetected beneath bark. Threatened ash must be cut or treated with insecticide at an estimated cost of $200 per tree. Federal inspectors earlier destroyed 150,000 ash trees in southwest Ontario’s Essex County and nearby townships; quarantined 860,000 ash trees in Metropolitan Toronto; and restricted the transport of firewood and wooden packing material in 42 counties and districts across Ontario and Québec. The ash borer was found to have spread west to Thunder Bay in 2016, and was detected in Winnipeg in 2017. Ash trees are common in Western urban tree planting, often to replace elm previously lost to Dutch elm disease. The City of Winnipeg in a January 29 report said the insect is capable of killing every ash tree in the municipality, more than 350,000 trees. The Government of Saskatchewan on January 15 listed the ash borer as a designated insect pest. “It’s sort of like a slow-moving catastrophe,” said Prof. Cuddington. The Commons natural resources committee in a May 4 report Value-Added Products In Canada’s Forest Sector estimated insects have damaged nearly 44 million acres of trees, more than ten times the annual fire loss.